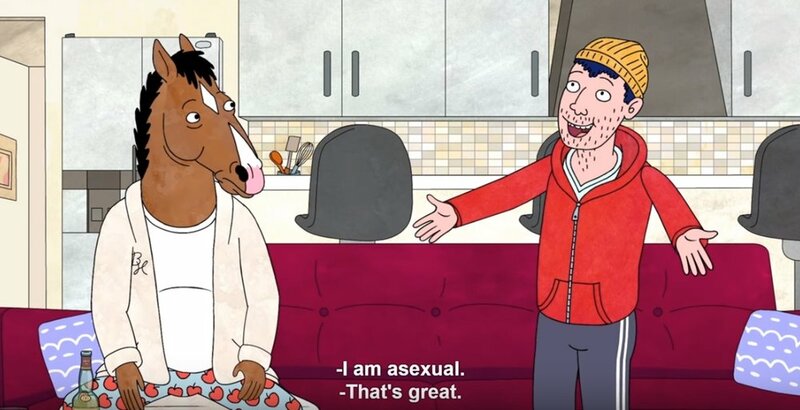 It’s asexual awareness week. Go hug an asexual. If you need to, brush up asexuality with this short but informative FAQ. Raise awareness of asexuality this week by making somebody aware of it, by dropping it into a relevant conversation. If an opportunity presents itself – perhaps somebody says “…if they’re straight, or gay…”, take the opportunity to add a few more to their list, and don’t forget to add asexual. So yeah: go hug an asexual today. In a non-sexual way, I’d suggest.